This skirt exudes the warmth of a royal shade, elegantly elevated by the rich craft of baroque foil. Features baroque, small boota print, concealed zip and hook closure. 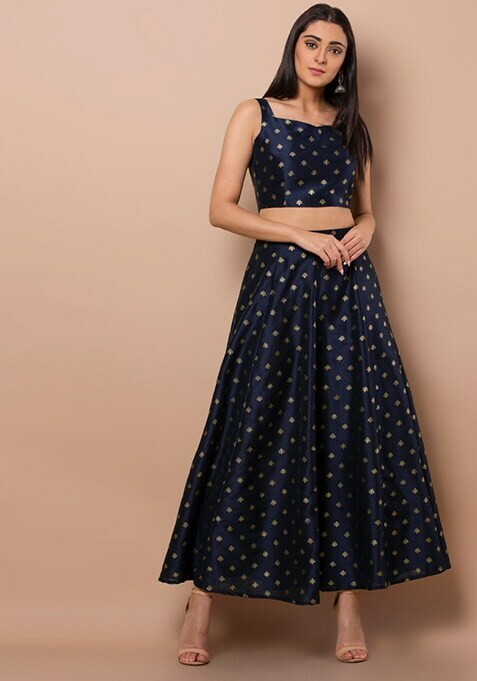 Work It: Add another chapter to your love story with ethnic wear by teaming this skirt with a crop top and a mesh dupatta.